Requires annual renewal of membership for continued use. The Premium Membership is an annual subscription program that gives your congregation access to all downloadable resources that are published by LeaderResources and the right to use those resources during the year in which the membership is in effect. 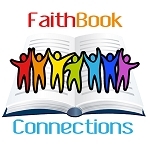 Your congregation's members gain access to over 100 resources including three Sunday School curricula, eight VBS programs, two youth ministry program, seasonal resources, over 40 adult education programs, leadership development and church growth programs, plus a series of e-books! Each congregational leader can download as many as they choose and if they find a program doesn't work for them, they can just download another one. Ask for donors to support it -- they can even go on our website and buy a gift card in any amount that gives you credit towards your membership fee. Take up a collection at specific service -- especially a family service where you can invite members to support resources for children and youth. Ask your members to contribute when they register for various programs. Especially for this first year: split the bill between this year, using end-of-year funds, and pay the rest by January 10th. You will receive a coupon code after you order the membership. Give that to your congregation's leaders who can then register, log into their own account and order any downloadable item for free using that code. If you provide us with an email address for each church leader you designate (and ask their permission), we will send them occasional "nudges" to remind them that they have access to these materials. We're small so don't expect more than about six to eight emails a year. But that will help your congregation's leaders remember to look to LeaderResources for resources they can use. Of course, you can surf our site and highlight resources in your congregation's e-newsletter or bulletin as well. If you choose not to renew the membership, we will work together to remind your congregation's members that they need to destroy the materials they downloaded and stop using the programs as this membership provides an annual use license and does not grant the right to use the programs when the membership has expired.